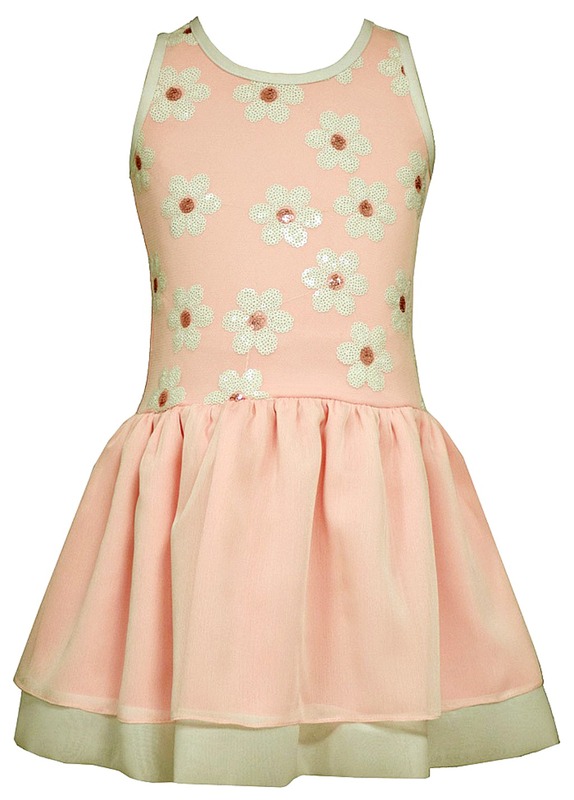 Beautiful girls party dress in sizes 7 to 16 features pink knit bodice with sequined white daisies. Gathered dropped waist with layered organza tiered flounce. Comfortable and dressy at the same time. Perfect for vacation!